Today I am sharing my latest design. 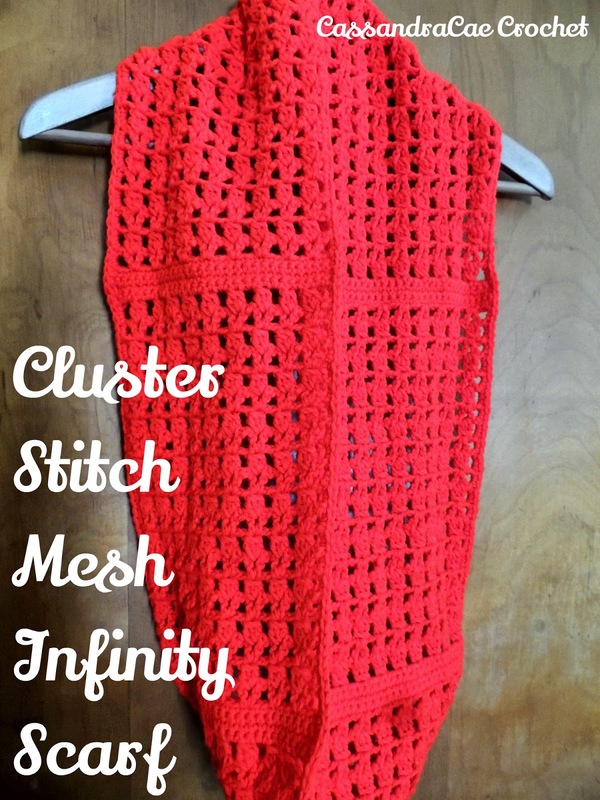 The pattern featured in this post is for the Cluster Stitch Mesh Infinity Scarf, but you probably already knew that because of the post title. I was bored one evening just watching movies and crocheting in bed when I came up with this lacy and modern design. This crochet scarf take very little time to finish and the pattern is really easy. Once you finish a couple of the rows, the pattern will be set in your memory which makes it a great project for those occasions where you may not be able to dedicate your full attention to your work. works up in no time. It would make a great last minute gift. I have been stash busting and this red acrylic yarn was just calling to me. With all of this white and gray (I live in Ohio, winter here is rough sometimes) I just needed a bit of color in my life. 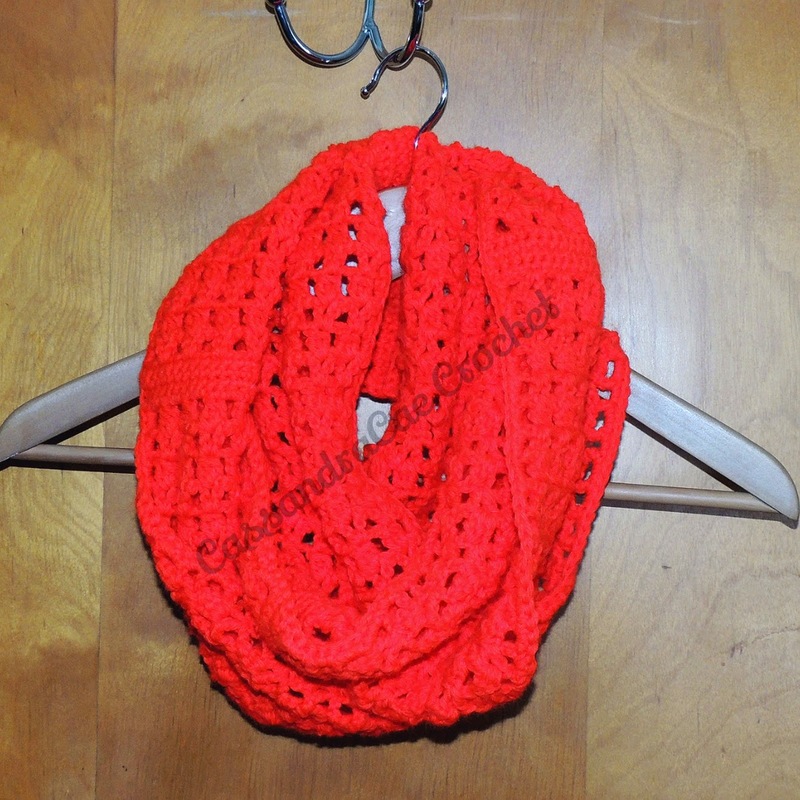 Let this infinity scarf keep you warm this February, crochet it in red to add a little Valentine's Day flavor to your winter accessories. This pattern has not been tested. I am new to pattern designing and writing out my patterns so if you notice any mistakes or see any errors in this pattern please notify me so that I may make corrections as soon as possible. If you would like to print this pattern, check out the print friendly button at the bottom of the page. You must be at a computer though as the button is not available in the mobile version of this blog. I apologize for any inconvenience this may cause but I am not sure how to make a printer friendly version on mobile. When referring to cluster stitches, I am using the double crochet variety. Repeat Rows 3 through 16 a total of 4 more times. On the fourth time repeating this pattern, leave off rows 15 and 16. This is where you will join your scarf to the other end and you already made the rows to create an even pattern when you started. Single crochet along the edges. I placed 2 single crochet in each mesh space and one single crochet in each row of single crochet along the side of the scarf. Once the edge is complete, slip stitch the ends of the scarf together and you know have a beautiful Cluster Stitch Mesh Infinity Scarf. If you are having an issue with bunching along the sides of your scarf, add 1 ch stitch to your turning chains. When doing this you also want to place the double crochets that finish of the rows of the scarf in the 3rd chain from previous turning chain rather than the second. If anyone needs clarification please leave me a comment and I will try to explain better. scarf made in worsted weigh yarn is thick to keep you warm. 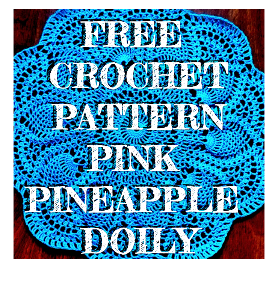 This is a free crochet pattern and you may print out copies for personal use. Do not print copies of this pattern for sale. If you would like to share a link to this pattern on your blog, feel free, I encourage sharing and a free market. All I ask is that you only share a link to the pattern and not the entire pattern itself. Sharing just the pattern is theft and will not be tolerated. If you share a link to the pattern on your website or blog feel free to also use the picture at the top of the page as part of your post. If you would like to sell items from this pattern feel free. We, as pattern designers, do not have any say in what you do with your crochet pieces of artwork after you make them. 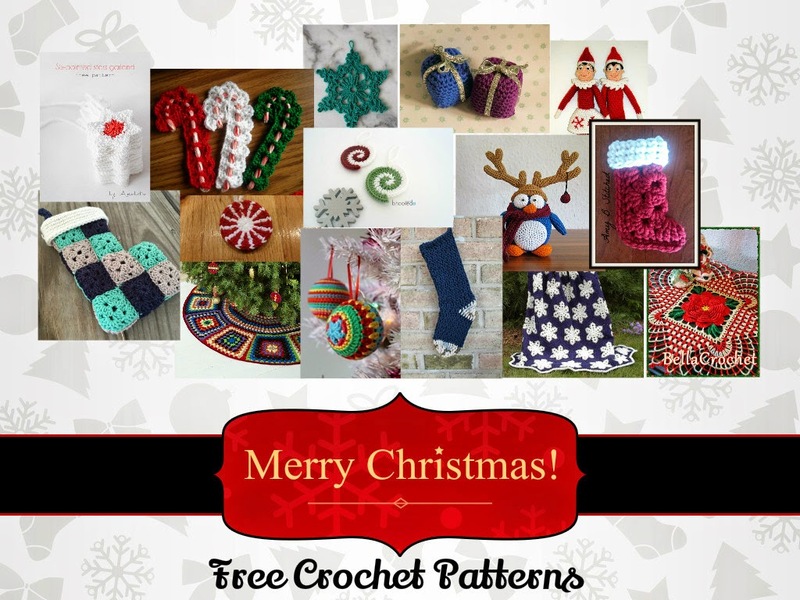 I do ask that you use your own pictures for these purposes and do not use any of my photographs for promoting and selling your hand crafted crochet goods.